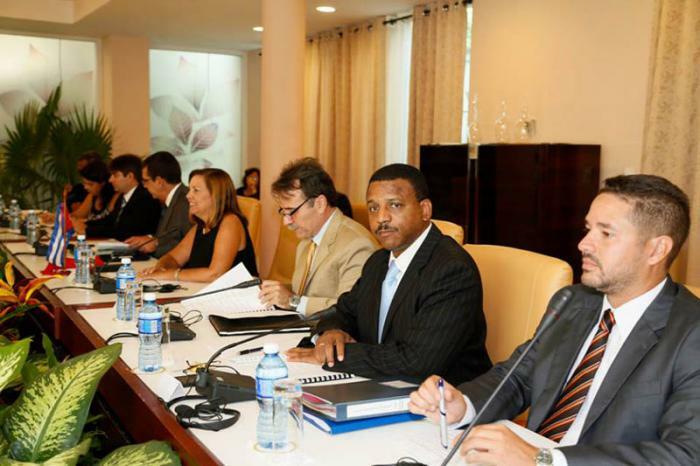 On September 11, in Havana, the U.S.-Cuba Bilateral Commission held its first meeting. It decided on an agenda for the future discussions and hoped-for resolution of remaining issues regarding normalization of relations. The commission agreed to meet again in November in Washington, D.C. to review progress in these areas and to chart areas of cooperation for 2016. The agenda has been divided into three tracks, with the first encompassing issues where there is significant agreement and the possibility of short-term progress. These include re-establishing regularly scheduled flights, environmental protection, natural disaster response, health and combatting drug trafficking. A second track includes more difficult topics such as human rights, human trafficking, climate change and epidemics. The third includes complex, longer-term issues like the return of the U.S. base at Guantanamo Bay, U.S. damage claims over properties nationalized in Cuba after the 1959 revolution and Cuba’s damage claims for more than $300 billion in alleged economic damages from the U.S. embargo and for what it says are other acts of aggression. Cuba reiterated its opposition to the comprehensive U.S. economic embargo, the U.S. occupation of Guantanamo and anti-communist radio and television broadcasts beamed into Cuba, but did not seek to place them on the agenda because they were measures unilaterally imposed by the United States. Both sides agreed the discussions were full and frank, extensive, and conducted in a courteous and respectful manner. Cuba’s delegation was led by Josefina Vidal Ferreiro, the Foreign Ministry’s director general for the United States, The U.S.’ by Deputy Assistant Secretary of State for South America and Cuba, Edward Alex Lee, accompanied by the Director of the Secretary’s Policy Planning Staff, David McKean; and Charge d’affaires ad interim Jeffery DeLaurentis. Below to the left is a photograph of the Cuban delegation; below to the right is a photograph of the U.S. delegation. Vidal indicated that the both sides saw the start of the process as opening at least the possibility of an Obama visit to Cuba, saying that it is natural for countries with normal relations to receive visits from each other’s leaders. This post is based upon the following: Cuba-U.S. Bilateral Commission to hold first meeting, Granma (Sept. 9, 2015); U.S. State Dep’t, Daily Press Briefing (Sept. 10, 2015); Reuters, U.S., Cuba Set Agenda on Improving Relations, N.Y. Times (Sept. 11, 2015); Assoc. 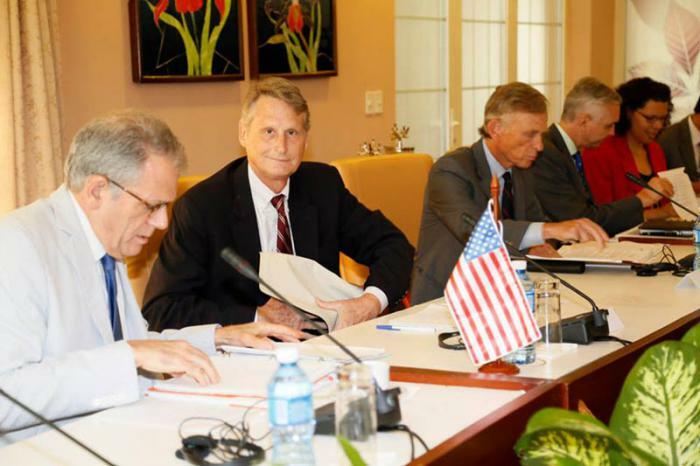 Press, Cuba, US Launch Normalization Process, N.Y. Times (Sept. 11, 2015); U.S. State Dep’t, Daily Press Briefing (Sept. 11, 2015); Press Release of the Cuban delegation to the first meeting of the Cuba-US Bilateral Commission, (+ Photos), Granma (Sept. 11, 2015). Academic research on US claims about lack of freedom of the press in Cuba and the record of lack of freedom of the press in US. Can US claim Freedom of the Press and protector of Human Rights?